After being censured by Election Commission for his bribe remarks at rally in Goa, Delhi Chief Minister Arvind Kejriwal on Saturday decided to fight against it in the court. Kejriwal said that Election Commission's order against him is completely wrong. He supported the argument by saying that lower court gave order in his favour which Election Commission ignored. Arvind Kejriwal said that he will challenge EC's latest order in court. 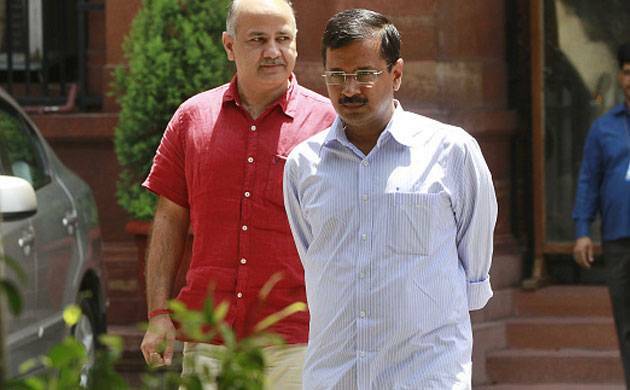 Earlier in the day, the Election Commission (EC) on Saturday censured Aam Aadmi Chief (AAP) and Delhi Chief Minister Arvind Kejriwal for his bribe remarks at a rally in Goa ahead of assembly elections in the state. The EC had earlier issued a notice to Kejriwal for purportedly promoting bribery at a rally earlier this month by saying that voters in Goa should accept money from the BJP and Congress but cast their vote to AAP. Addressing the people of Benaulim, Kejriwal said, "If Congress or BJP candidates offer money, do not refuse it. Accept it as your own money. But when it comes to voting, press the button against the name of the AAP candidate." While issuing the notice, the EC said that prima facie, Mr Kejriwal’s statements violated the model code which came into effect in Goa on January 6. It also said that Kejriwal’s remarks amount to "abetting and promoting electoral offence of bribery".